Today, when you order "Pulse Rate Monitor by Tolga Ozuygur", you'll instantly be emailed a Penguin Magic gift certificate. You can spend it on anything you like at Penguin, just like cash. Just complete your order as normal, and within seconds you'll get an email with your gift certificate. 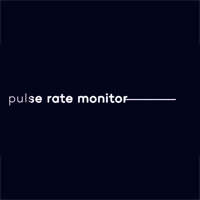 Pulse Rate Monitor by Tolga Ozuygur (Instant Download) A companion app for the Pulse Rate effect. Guess anyone's heart-rate in a MUCH EASIER and MORE DECEPTIVE way. Pulse Rate Monitor is a companion app that you can install on your phone for the Pulse Rate by Matt Mello. With it, you can take the already amazing Pulse Rate effect to a whole new level. It makes the effect easier to perform and even more deceptive! The app is an exact replica of the stock Android Clock with a super secret gimmick mode, once it’s activated you’re ready to perform! You can even let your spectators use the app to perform the alternative pulse synchronization effect by easily switching the gimmick mode off. Also the great part is, unlike your classic gimmicks you will not be able to forget this one at home, you will always be ready to perform as long as you have your phone! Install it on your phone for close-up / street performances, or install it on your tablet for stage performances. Totally up to you! Note 1: This is the Android only version, an iOS version may be released later. Note 2: This product does not include the instructions for the Pulse Rate effect by Matt Mello, you need to get it separately. I'm a fan of Matt mello's work and I really enjoy his effect pulse rate have been doing it since it was released. Anyone who enjoys the trick pulse rate should definitely purchase this it will absolutely make the tick that more deceptive I didn't like using a watch to count the seconds this app does it for you and they can see the 15 seconds count down as they take their pulse and there is a nifty little something built into the app so you get the desired pulse you need and the app will flash and a little alarm goes off after the 15 seconds. I enjoy it and will definitely be using this from now on when I perform pulse rate money well spent in my opinion..